Byodo-In Temple Video Tour - Valley of the Temples: Tigger Travels - Family Adventure Journal Photos From Tigger`s Travels and MORE! 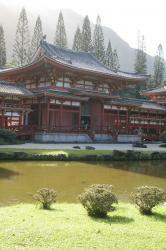 Tigger had the opportunity to visit the beautiful Byodo-In Temple in the Valley of the Temples on the Island of Oahu, Hawaii. The Temple grounds are a lushly landscaped paradise nestled in a cleft of the pali and are home to wild peacocks and hundreds of��Japanese koi carp. The beautiful grounds include a large reflecting pond, meditation niches, and small waterfalls. Visitors describe this destination as beautiful, peaceful, and restful. 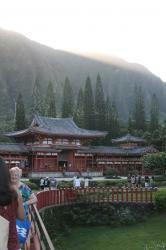 The Byodo-In Temple is a Hawaii State Landmark. 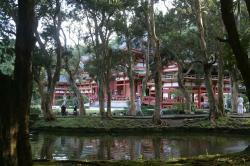 When you visit the Byodo-In Temple, you are truly experiencing one of Hawaii�s best kept secrets.